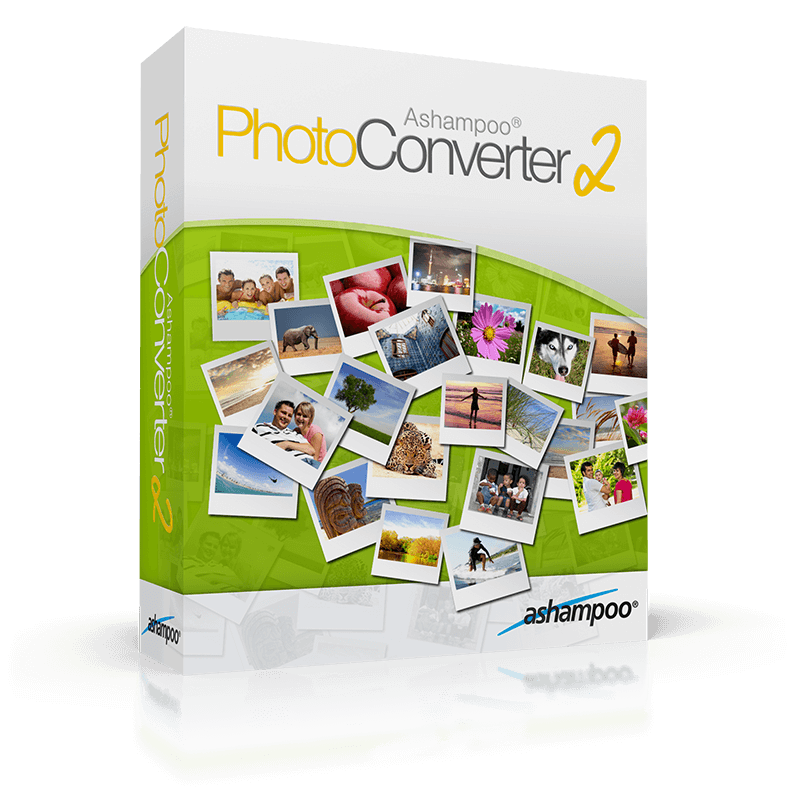 What is Ashampoo Photo Converter 2? Ashampoo Photo Converter 2 is our Swiss army knife to process your photos. No more manual sifting through heaps of photos, Ashampoo Photo Converter 2 processes entire collections in one go, whether it be 1 or 1000 files. Why Ashampoo Photo Converter 2? Ashampoo Photo Converter 2 requires very little system resources which makes it ideal for both current (multi-core support) and older machines. Get results quickly. With Ashampoo Photo Converter's no-frills user interface, you will see results in a matter of seconds. Convert, align, resize or apply sophisticated color manipulations ... There is no need for expensive image editors because Ashampoo Photo Converter 2 covers all these common image tasks with ease. 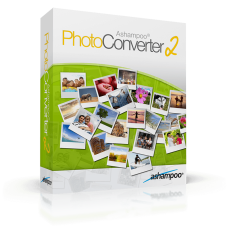 Ashampoo Photo Converter 2 our most comprehensive image converter ever! Our developers were able to greatly enhance the feature set while keeping the user interface well-structured. No more trial and error. Ashampoo Photo Converter 2 features a live preview, enabling you to freely experiment with the multitude of available features. Spare yourself the hassle of finetuning colors and contrasts and let Ashampoo Photo Converter 2 auto-determine the best settings for each of your images. And with "Clean Skin", compression artefacts are a thing of the past. Ashampoo Photo Converter 2 gives you access to more sophisticated color parameters such as color temperature, hue and saturation. Let your imagination run wild with a myriad of artistic effects including Prencil Drawing, Sepia and Oil Painting. The built-in preview provides immediate feedback so feel free to explore. Modern digital cameras store additional information such as the time an image was taken with each image file. Ashampoo Photo Converter 2 can auto-insert the creation dates into your images to help you keep track of your photos.